Product prices and availability are accurate as of 2019-01-21 02:04:53 GMT and are subject to change. Any price and availability information displayed on http://www.amazon.com/ at the time of purchase will apply to the purchase of this product. Securing your skin has never ever been so delightful. 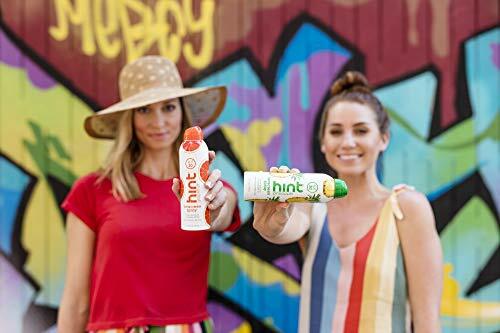 Presenting hint ® sunscreen, a clear, continuous sunscreen mist made with the subtle natural fruit essences you love- grapefruit, pear, and pineapple. Try them all-you will not be able to select a favorite! With broad-spectrum SPF 30 defense and simple 360 ° spray-on application, our hydrating, skin-quenching sunscreen is water resistant for 80 minutes. Using Bag-on-Valve (BOV) technology, our ingenious spray uses just compressed air, removing propellant chemicals, supplying consistent protection, and offering extra-fast drying time. 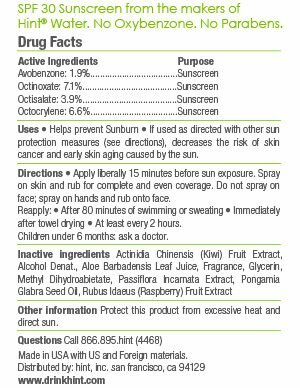 Plus, it's oxybenzone- and paraben-free-a tasty, glowing glow, provided with just the good stuff.